Shri Naina Devi Ji Temple is connected to NH-21 & is 70 kilometers from Bilaspur, 108 Km from Chandigarh, and 18 Km from Bhakra and 20 km from Anandpur Sahib. It is situated on triangle Hill also known as Naina Dhar hill which is 3535 feet from Sea Level. 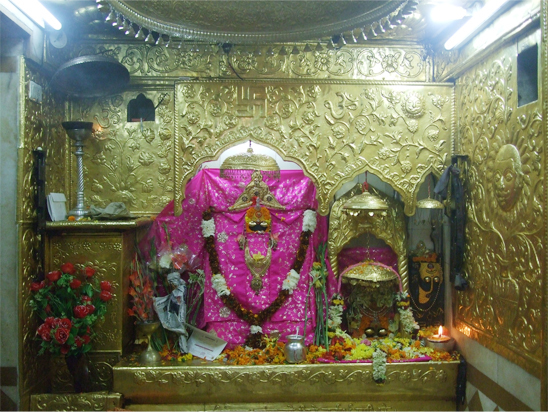 Shri Naina Devi Ji Temple has emerged as one of the most reverted center of pilgrims in region for both Hindu and Sikhs. Surrounded by famous land mark of Bhakra Dam, Anandpur Sahib, and Govind Sagar Lake. It is one of the famous 51 Shakti Peeths of Hindus having mythological linkage with Lord Shiva & Guru Govind Singh.